Momma's Boy - Bear & Co. The show premiered at the Ottawa Fringe in 2011, toured intimate Ottawa venues in 2012, and toured more distant locations in 2013. Contact Eleanor Crowder, Tour Co-ordinator at: bearandcompanytheatre@gmail.com. Two days before Christmas, strong winds bring Jordan Banks and Ginny Smart to Sioux Lookout. Both are seeking a fresh start. For Jordan, that means a teaching job far away from the big city. For Ginny, it means the completion of her thesis at her mother Daphne’s kitchen table, and then a flight as far away from Sioux Lookout as she can get. When a delayed landing leads Jordan to accept Ginny and Daphne’s hospitality, their lives become connected in a way that feeds Daphne's dream of keeping her family close. How does one build a family? What happens when ambition and biology collide? And when must a parent walk away? 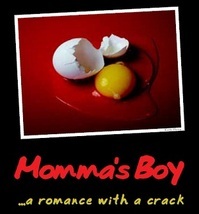 Momma's Boy is a love story, an ode to the North, and a clear-eyed look at the hopes and pains involved in making a family and settling down. It is a chance to talk about our real lives now. Performed by three actors with live music and sound effects, this intimate production is designed to tour. Small and unusual performance spaces create a particular delight. Momma's Boy is a timely and poignant play. Many years have passed since the introduction of hormonal birth control and the legalization of abortion in Canada, and yet the conversation about family planning and the practical effect of pregnancy has not gotten easier. Yes, schools cover the reproductive system and contraceptive use, but these remain subjects that people do not discuss between themselves. But the issue is politically fraught, a hot-button issue in election campaigns, and under legislative challenge in Canada (as witness Conservative MP Stephen Woodworth's 2012 motion to reexamine the legal definition of the beginning of life). Momma's Boy steps into the breach, inspiring both discussion and laughter. I laughed, I was touched and moved, and above all, I came away challenged, and will continue to wrestle with this for quite some time, I am sure. (I am more Catholic than I dreamed, I think...). The presentation was superb... there was just so much inter-generational and family stuff resonating throughout the performance. And you, David and Anna put that across with pitch-perfect feel. The playwright's challenge is to bring characters to life with just a few short scenes, while balancing the need to drive the plot forward. You've succeeded with that beautifully here... the more I contemplate the pieces of this play, the deeper they seem to reach. There is a deep consistency to the characters, the ultimate dilemma, and their responses to it. This gives the whole production a profound emotional credibility. I don't think men ever face anything like this kind of a situation... at least I never have - this requirement to, on a dime, not only turn my life inside out, but turn who I am inside out. Ottawa actor, playwright, and director Eleanor Crowder found the inspiration for this original play on a flight into Sioux Lookout in February 2011. Momma’s Boy first played at the Ottawa Fringe in June of the same year, in the University of Ottawa's Academic Hall. It ran 60 minutes, performed by Bronwyn Steinberg, Rachel Eugster, and Will Somers, with direction by Eleanor Crowder. Musicians Tony Nguyen, Dan Tarof, and Kevin Guerette played just off the front of the stage. The production incorporated original music by Eleanor Crowder, Rachel Eugster, and J.D. Robertson. This first run generated a longer interest in the project. In March 2012, a second cast –- Anna Lewis, Eleanor Crowder, and Will Somers –- workshopped the play, in a collaborative process. They adjusted the style of the production, experimenting with intimacy. The music was given a more rough-edged flavour, to suggest the way music sounds when friends sing the songs they love together. Rewrites deepened character relationships, filled in gaps in Daphne's and Jordan’s stories, and gave the play more bite. The second run of Momma’s Boy in April 2012 toured the workshop performance to five varied locations: in Ottawa, a coffee roastery, an attic, and a church hall; the Lions Club in Killaloe; and the Wilton Women’s Institute hall in Wilton. Audiences ranged in size from 22 to 60 depending on venue capacity. The running time was 1:50, with an intermission. Each show was followed by a talkback session for feedback and discussion. The original music performed in Momma's Boy was composed by JD Robertson, Rachel Eugster, and Eleanor Crowder. Hear a recording of selected numbers from the show by clicking on the icons below. 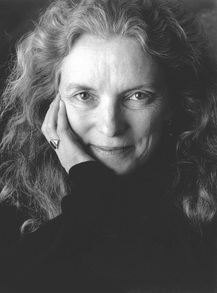 Eleanor Crowder is a writer, director, and actor. Ottawa audiences remember her Mother Courage for James Richardson and her Shrew for Peter Hinton. Most recently, Eleanor directed King Lear, 'Tis Pity She's A Whore and an all male Taming of the Shrew. She performed the good and the bad Dukes in As You Like It in parks across Ottawa. She toured across Ontario with her Wild Words project , supported by the Ontario Arts Council. Verbatim work in 2013 includes directing The god Monologues for Faith and Arts Ottawa, and working with David Holton on his explosive piece, I'm Ready Warden: Last Words of the Condemned. David is an Ottawa based actor and singer-songwriter. David is thrilled to be hitting the road with Bear and Co. and cannot wait to share the story with folks in each and every town along our way. 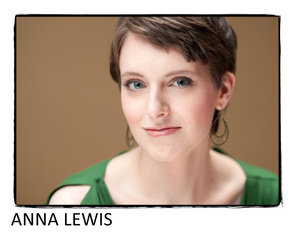 Anna Lewis is an Ottawa-based actor and theatre creator, with a BFA in Theatre from Concordia University. While in Ottawa, she has worked with Bear & Co. (As You Like It, 'Tis Pity She's A Whore and Momma's Boy), A Company of Fools (A Midwinter's Dream Tale), The Meus (Permanent Smile) and Salamander Shakespeare Co (Measure for Measure, A Midsummer Night's Dream, Romeo and Juliet). Film credits include Happy Suds, and the title character in Brown Sound Underground with Nona Leslie, both filmed in Vancouver. Most recently, Anna was seen in 9th Hour Theatre's Agnes of God and Chamber Theatre Hintonburg's Tongue and Groove. She will be stage managing Bear & Co's The Taming of the Shrew next April/May.